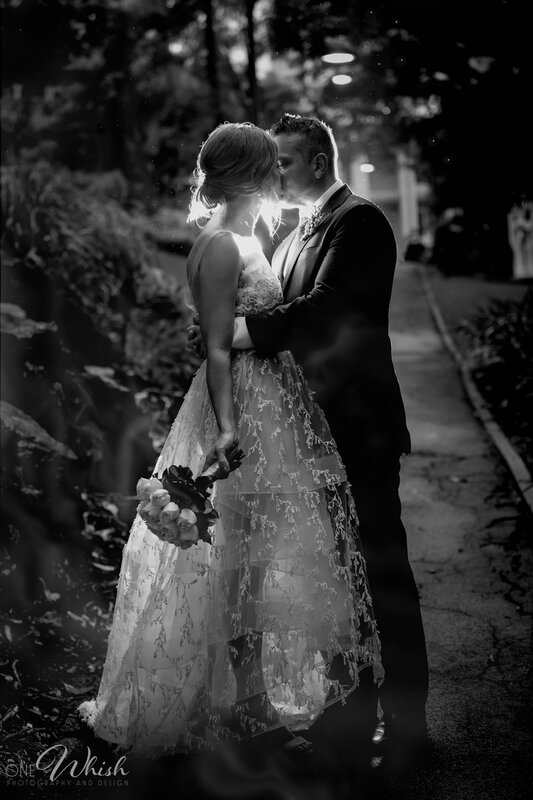 I am a North Brisbane and beyond wedding and portrait photographer. People are my passion and connecting with my clients is everything. At the end of every wedding, portrait or editorial shoot, I really feel as though I have made new friends and I feel as though my photography family is growing! I have just always loved photography. I look back at photos that I took when I was little, when I had my own little polaroid and could afford film, or when I borrowed my stepdad’s camera (and again, could afford film, though he did spoil me a bit). I didn’t understand photography back then, but I do know that I loved when the light looked great, or when I could take a photo of someone being totally themselves, or when I caught real raw emotion forever. When I grew up, I still had my camera/s and loved using them! I got married, had my two gorgeous girls and life took me on a huge adventure. My husband was in the Defence Force, so my focus was supporting him and our family through many years, many homes and many overseas deployments (yes, I am VERY proud of him and would do it all over again). I happily took a little bit of a backseat however, if I could share one piece of advice - if you’re passionate about something, anything, do it. Keep it up, even if it is not at the level you want - study, keep at it, don’t stop, because it will come. I’m a people pleaser, yes, I admit it. The good thing about that is, nothing makes me happier than when I deliver a portrait/wedding/editorial package and I see smiles (tears even!) and genuine happiness that I could capture a moment, emotion and memory to give to someone to keep for the rest of their lives. When people started asking me to take their photos, I decided to study. If I am going to do something, I don’t hold back. I completed two years of study, resulting in a qualification in Design, Specialising in Photography - which I graduated with 2 Distinctions and 22 High Distinctions. Learning never stops. Even the amazing photographers I have worked with or have mentored me are still doing new things! These days, if I am not out shooting, I am doing workshops and I love it still. Nothing makes me happier than to give you images that show you who you really are, and everything that is unique and beautiful about you and your story. Contact me if you would like to find out more about what I can offer!